The Napa Valley isn’t especially well known for Zinfandel, but some of the examples that we’ve tried are excellent. Today’s wine even beats those, and presents us with something really quite special. 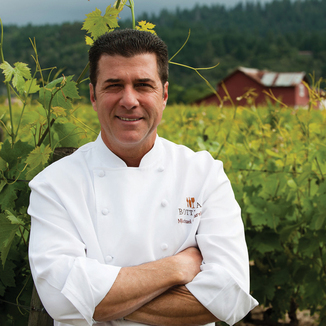 This wine hails from Chiarello Family Vineyards, headquartered in the Napa Valley, where Chef Michael Chiarello’s Bottega Restaurant is a smash hit with visitors and locals alike. 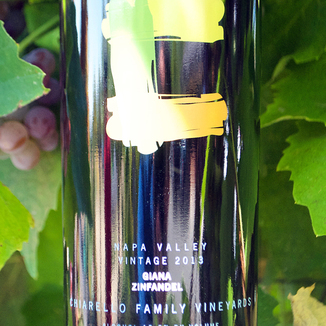 The Chiarello Family 2013 Giana Napa Valley Zinfandel will thrill you like no other Napa Zin before it. We’re over the moon about this bold, juicy treat. Even from across the room, the ripe, inviting aromas from this wine jump up to greet you on the nose. Black cherry, cherry tobacco, blueberry, smoky raspberry, chocolate covered cherry, spice box, cassis and dried fall leaves. Juicy and full on the palate, with cascading flavors of black cherry juice, blackberry preserve, raspberry compote, cherry bark, spice box, cocoa powder, dried fall leaves and cracked peppercorn. Much of the credit for today’s wine goes to winemaker Thomas Rivers Brown, who leads the winemaking at some of the most recognizable wineries in California. Wineries like Schrader, Outpost, Maybach, Revana, TOR, C. Mondavi, Jones Family, Harris Estate, Hestan, Seaver, Black Sears, Casa Piena and more. His personal wine label, Rivers-Marie, is perhaps where Thomas Brown best demonstrates his mastery of Pinot Noir. 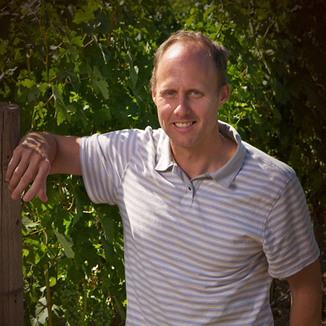 For Napa Valley Zinfandel, his work at Chiarello is the finest we’ve seen. The next time you’re visiting Wine Country, why don’t you meet up with Agent Red for dinner at Bottega. He’ll bring the wine! 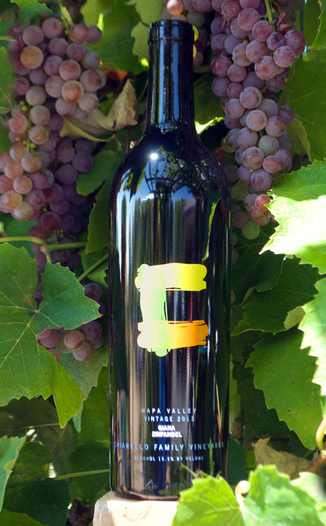 Just don’t expect it to be today’s wine… Once word gets around, we think the winery will be cleaned out! Gorgeous translucent ruby hues, from glinting edge to darker core. After spinning the wine in the glass, marvel as round after round of tall, slow-moving columns form high up on the glass wall - before making a slow and steady march downward. Black cherry, cherry tobacco, blueberry, smoky raspberry, chocolate covered cherry, spice box, cassis and dried fall leaves. Black cherry juice, blackberry preserve, raspberry compote, cherry bark, spice box, cocoa powder, dried fall leaves, cracked peppercorn. Exceptionally plush, elegant and long. Medium tannins leave the palate coated in velour. At the end - when it finally does arrive - the palate is left with a slightly chewy, pleasantly dry feeling that reminds you to take the next juicy sip. “Seared Pork Tenderloin with Cocoa Spice Rub.” Serves 8. 2) Trim pork tenderloins of fat and silver skin. 3) Rub with a generous amount of the cocoa spice rub. 4) Sear each tenderloin on all sides until a rich brown color, about 2 minutes on each side. 5) Remove tenderloins from heat and finish in the oven for about 10 minutes or until cooked through. 6) Let tenderloins rest out of the oven for at least 10 minutes before carving.